If you’re one of the people who keeps saying that you can’t get into ‘Mantra’ or ‘Wonderful Life’ because “it’s not heavy enough”, you have a bloody storm coming your way. 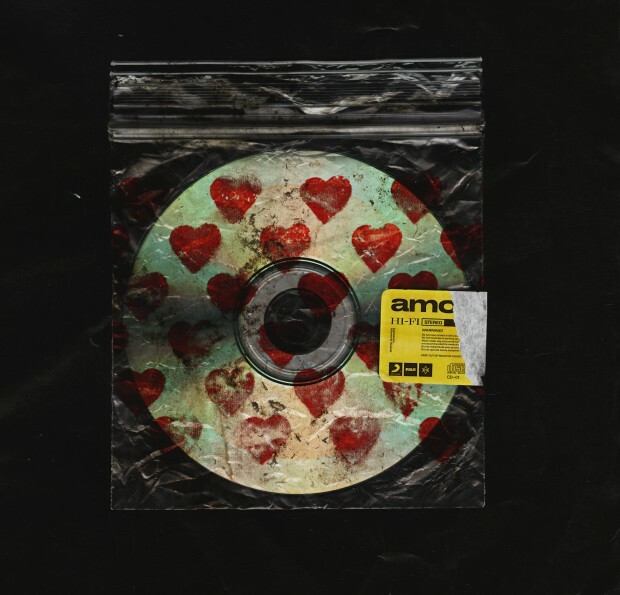 From the opening harmonics of “I Apologise If You Feel Something”, it’s pretty evident that it’s not going to be the BMTH that you know and love – so throw your expectations out the window. ‘Nihilist Blues (ft Grimes)’ is one of the first songs where you hear Jordan Fish sing more than backing vocals whilst Grimes melancholic pop vocals helps to deliver a huge (even shoegazey) effect. It’s also the first song that truly introduces what ‘Amo’ is as an album – an electronic and neon experience with huge drum and bass percussive elements. ‘Ouch’ as an interlude track perfectly embodies jersey club/fantasy club whilst ‘Why You Gotta Kick Me When I’m Down’ features Oli Sykes rapping and a Dubstep-esque chorus that wouldn’t be out of place on a Nero album. ‘Heavy Metal (ft Rahzel of the Roots) delivers a huge stadium pop sound with Oli cheekily commentating in his lyrism- “cause a kid on the gram in a blacked out tank says ‘it ain’t heavy metal’-and that’s alright” And that is alright. BMTH is a band I’ve followed my whole life, since Count Your Blessings dropped so yes for all the naysayers, I acknowledge that it’s hard at times to listen to how different they now are as a band. But, for the sound that they are striving for, are they acing it? Absolutely.